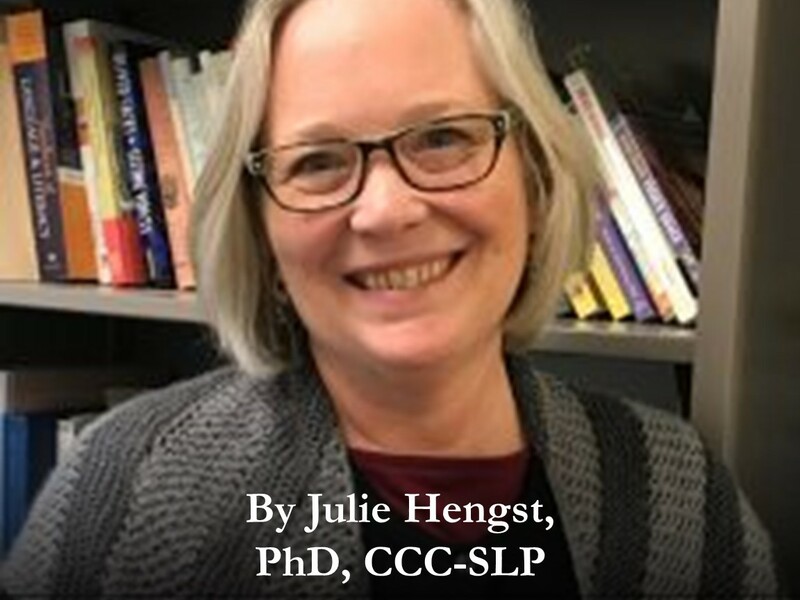 Julie A. Hengst, PhD, CCC-SLP, is an Associate Professor in Speech and Hearing Science at the University of Illinois at Champaign-Urbana. She teaches graduate and undergraduate courses including: Aphasia and Related Disorders; Augmentative and Alternative Communication; Discourse Analysis and Communicative Competence; Counseling and Communication Disorders; and, The History of Communication Sciences and Disorders. Drawing on sociocultural theories and ethnographic methods, her research details everyday communication among individuals with communication disorders and their community partners. She focuses particularly on the sudden disruptions caused by acquired brain injuries (e.g., strokes, trauma) and the ongoing re-organization of functional communication systems. Her research has appeared in journals such as Journal of Speech, Language, and Hearing Research; Aphasiology; International Journal of Communication and Language Disorders; Text & Talk; World Englishes; Nature Neuroscience; and Brain & Language. She co-edited (with Paul A. Prior) Exploring Semiotic Remediation as Discourse Practice. Professor Julie Hengst, PhD, reviews One Hundred Names for Love: A Stroke, a Marriage, and the..